Flowers are as much a part of summer as ice cream, the sun and vacations. 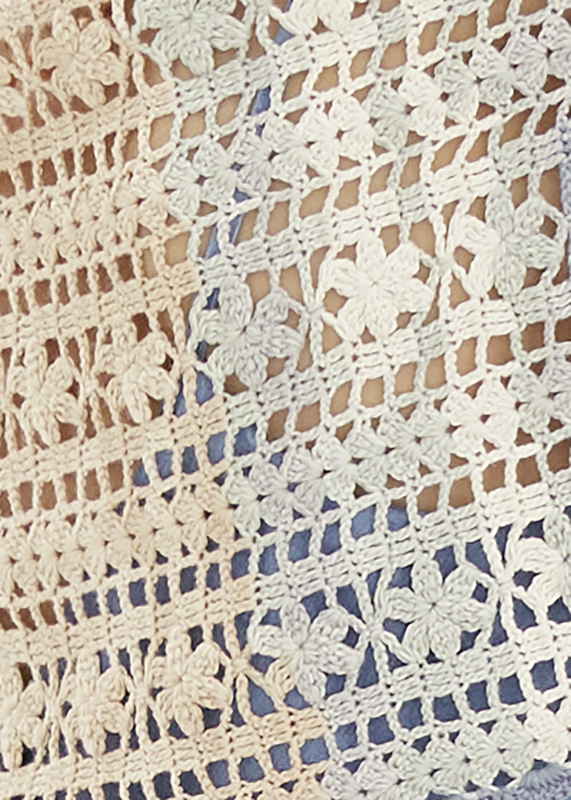 They appear particularly romantic in the pattern of this wide crocheted shawl (approx. 30 x 172 cm/ 11 13⁄16 in x 67 11/16 in) with playful fringes. To achieve symmetrical repeats on each side, the shawl is worked from the center with a series of chain stitches onto which stitches are added from both sides. The flowing colors of the cotton yarn Tahiti are a perfect match.